The innovative public bicycle service based on the free-floating system also arrives at Cattolica, which means leaving the user free to park the bicycle anywhere in the city, provided that it does not create an obstacle to the flow of the traffic and citizens moving on foot. The service is managed by the smart bike-sharing company oBike. From today, the service bikes are available at various points in the city, both in the city center and in the belt areas, and in particular at Piazza I Maggio, Piazza Stazione, Porto area, Piazza Mercato, Piazza Nazioni (Zona Le Vele) and Piazza Mercato. We start with 100 bicycles that could increase according to the users request. The bike rental and sharing system based on free flow is really simple. The user can download the "o-bike" App for free on his own smartphone. To use the vehicle, the user can unlock the included burglar alarm through the QR code provided through the App itself. At the presentation of the service, which took place in Piazza Mercato, were present the mayor Mariano Gennari, the Councilor for Urban Planning Fausto Battistel, the city councilor Marco Boresta and the President Association of Hoteliers Massimo Cavalieri who had the pleasure to try first the bikes. "It is a service - explains Councilor Battistel - that goes in the perspective of promoting the urban plan of sustainable mobility (Pums). Let's add a new piece to this project, presented to the citizens at the end of 2016 at the Teatro Snaporaz. Cattolica, therefore, points to the so-called sweet mobility and the benefits that derive from the reduction of pollution to the promotion of daily physical activity to promote personal well-being. Thanks to the ease of use we are convinced that the habit of tourists and citizens to the use of public bicycles can increase, bringing benefits for the entire community ". "This is an extra opportunity for our citizens - adds Mayor Gennari - who puts us on the network with a technology already present on the national territory. This innovation will allow citizens or tourists through a simple App on the mobile phone to take advantage of the service not only in Cattolica, but throughout the Riviera and in the major cities of Italy, such as Rome or Turin ". oBike is a free-flow bike sharing platform, which promotes a more sustainable, healthy and tech-friendly transport mode. Founded in Singapore in January 2017, oBike was the first smart bike-sharing company in Southeast Asia, and aims to become the next-generation company specializing in first and last mile transportation. In just over a year, oBike is operating in over 50 cities located in around thirty countries, thanks to investments made on vehicles, technology and operating standards. OBike's mission is to make environmentally-friendly transport affordable, available and accessible to everyone. Wherever they are. 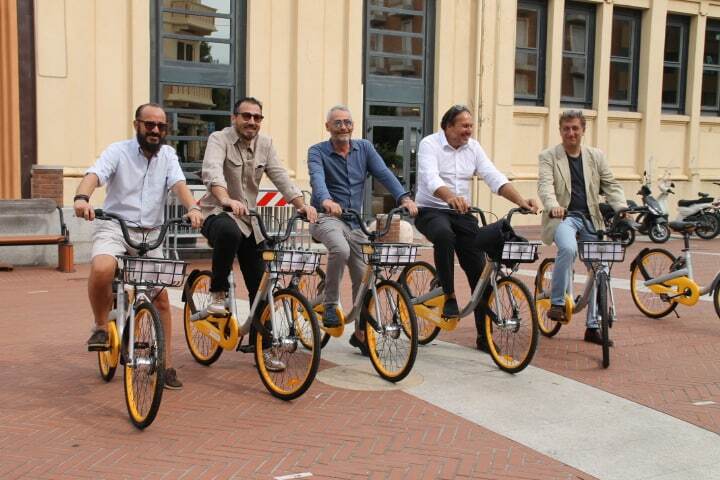 after Turin and Rome, oBike chose the Romagna Riviera as a new area to operate: reasoning for the first time in terms of large area, given that the bikes will be positioned in all the seaside resorts between Ravenna and Cattolica, just in view of the summer . - the Etabeta cooperative in Cervia, which deals with tourism and environmental projects, and which in recent years has developed the theme of coastal intermodality on behalf of the Emilia-Romagna Region (within the European projects Intermodal and 4Pillars) and for Apt Servizi, which follows the relational and promotional aspects. Using the service will cost 50 cents every 30 minutes, but they are also expected subscriptions for 24 hours (€ 2,50), 3 days (€ 5,00), 30 days (€ 7,99) and 90 days (€ 14,99). All transactions will be possible by credit card and PayPal.